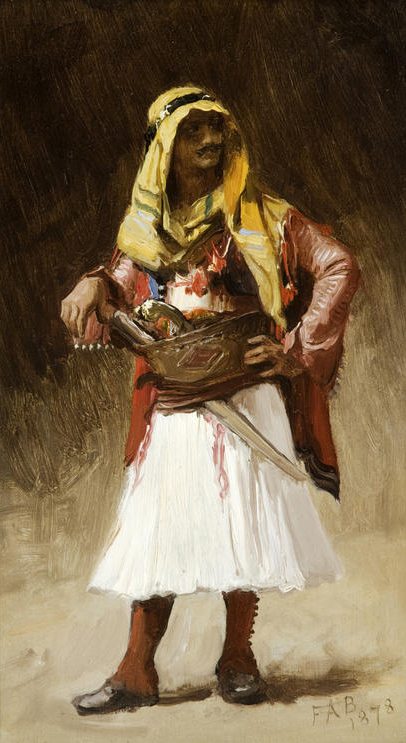 The Armenian diaspora of the 19th Century held prominent positions in the Ottoman Empire and could be distinguished from natives by their dress and features. Bridgman would have encountered many Armenians in Cairo and Constantinople, especially because their influence in both cities was large comparable to the size of their population. In fact, in Constantinople for example, it was required that postage and government ballots be written in both Armenian and Turkish to accomodate the weighty population.